Police in Malaysia are investigating a case of alcohol poisoning that killed at least 21 people, including two Bbangladeshis with dozens more hospitalised, most of them citizens of Asian nations, reports Lakes Mail. Cheap, homemade liquor is popular among poor, migrant workers in Muslim-majority Malaysia, which has high taxes on alcohol. A total of 57 cases of methanol poisoning had been reported in Kuala Lumpur, the capital, and its surrounding state of Selangor, Health Minister Dzulkefly Ahmad said. "The number of cases is expected to increase as more patients come in for treatment," he told a news conference in the administrative capital of Putrajaya. Methanol, an alcohol compound used in making spurious liquor, is harmless in tiny amounts but lethal in larger concentrations. Five Malaysians were among those affected, while the rest were foreigners from Bangladesh, Indonesia, Myanmar and Nepal, Dzulkefly added. Authorities had tested several types of alcoholic drinks to find some samples contained methanol in higher proportions than authorised, he said. "We are very concerned because it comes in batches... people are resorting to cheap, compounded hard liquor," Dzulkefly said. 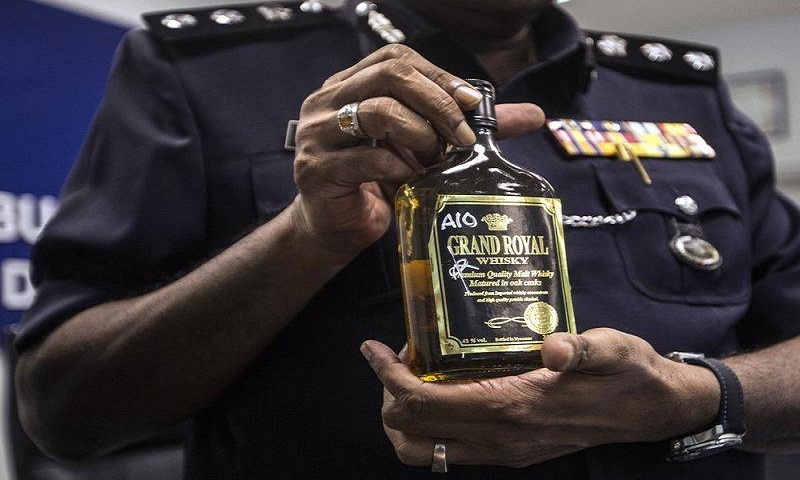 Police arrested seven people in raids on 12 sites where they seized nearly 3000 bottles and cans of whisky and beer, in a bid to identify the contaminated drinks and curb the outbreak, Selangor police chief Mazlan Mansor said in a statement. Police are investigating the deaths as culpable homicide, which carries a jail term of up to 10 years, a fine, or both.